Hymns we love to sing! We Three Kings is the most popular of our Epiphany Carols. It is often sung at Christmas Carol Services after St. Matthew’s account of the visit of the wise men to Christ’s manger is read. It was written by an American Anglican priest, Revd. John Henry Hopkins Jr. He was the son of the first Bishop of Vermont, John H. Hopkins Sr, who later became the Presiding Bishop of the Episcopal Church of America. John Jr was a gifted academic, artist and musician. He worked as a journalist before training for the priesthood at the General Theological Seminary in New York. As well as being an author, illustrator and designer he taught music at the Seminary from 1855-1877. During this time he also edited the Episcopal Church Journal. 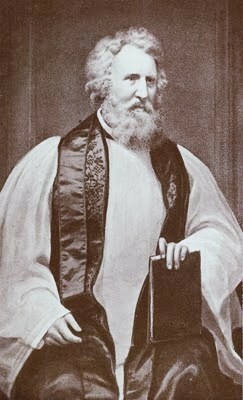 Later he served as Rector of Christchurch, Williamsport, Pennsylvania. Hopkins was a prominent clergyman and delivered the eulogy at the funeral of President Ulysses S. Grant in 1855. It’s sometimes suggested that We Three Kings was written for a Christmas Pageant performed by the ordinands of the General Seminary in 1857. It’s more likely, however, that he wrote the Carol as a Christmas present for his nephews and nieces. It was a great hit with the family and the Carol very quickly gained popularity. It was first printed in his Carols, Hymns and Songs in 1863. As well as writing the words Hopkins composed the rousing tune, Kings of Orient. The Carol celebrates the Epiphany, the arrival of the wise men with their gifts of symbolic meaning [Matthew 2.1-12]. However, the Gospel only tells us about the three gifts of gold, frankincense and myrrh, it doesn’t record how many wise men there actually were. That is left to Christian tradition and folklore. In the Orthodox Church the number of Magi is usually thought to be twelve. In the western Church we think of three. We have even made them kings and given them names, Melchior, Caspar and Balthazar. John Hopkins took the well known traditions surrounding the coming of the wise men and unashamedly celebrated the scripture and the myth in word and song. He even presents us with a theological interpretation of the meaning of the gifts. Gold is given to the newborn king. Frankincense is offered to God’s own Son. Myrrh speaks of the passion and death of the Saviour. We Three Kings remains one of the most popular of all Carols. Hopkins is often celebrated as Vermont’s very own Father Christmas. He clearly did much to promote Christmas and its traditions in the USA. He also looked very much like the ‘Father Christmas’ popularised in America the nineteenth century. Hopkins died on 14th August 1891 and was buried next to his father at Rock Point, Burlington, Vermont.